Phonolitic-haüynite: Mineral information, data and localities. Haüynitic rock with foids (mostly Haüyne) constituing 60 to 90% of light-coloured constituents and alkali feldspar > plagioclase. 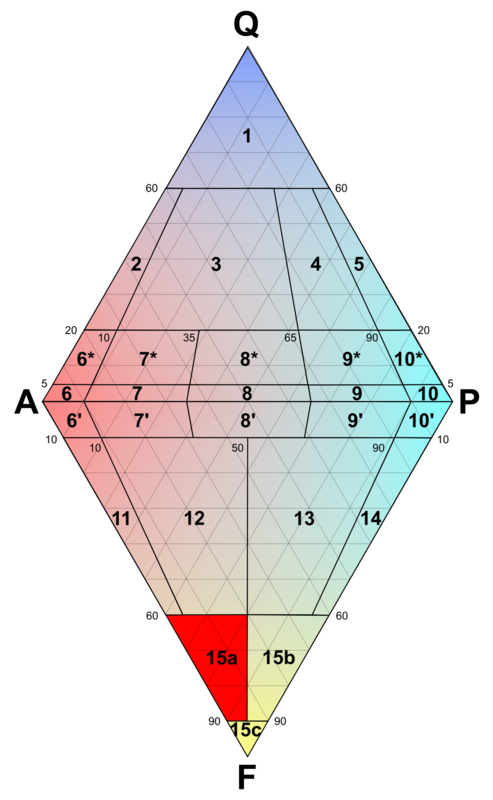 Phonolitic-haüynite appears in field 15b in the QAPF diagram.